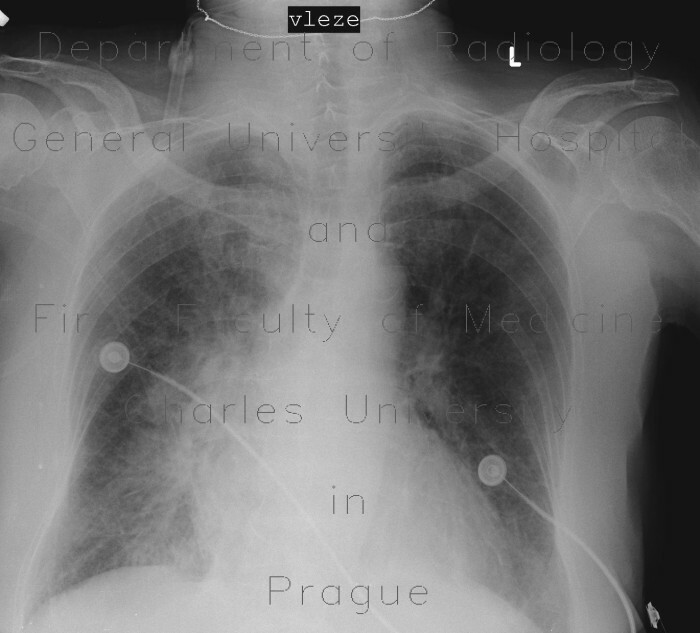 Enlarged hili with prominent lung markings in perihilar areas on chest radiograph. Thickened interlobular septa and multiple areas of ground-glass due to alveolar transudation of fluid. Pleural fluid. Enlarged heart.